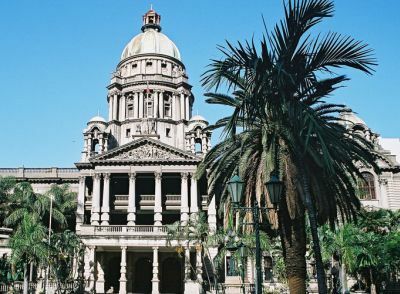 The eThekwini Municipality is convening a meeting of interested and affected parties to a public meeting to discuss the introduction of a Development Charge which will be applied to all residential, commercial and industrial developments in the City and anticipated to come into effect from 1 July 2012. The proposed Development Charge is a fee associated with the development process and is levied for the provision of the Municipal infrastructure required to provide essential services to a development. The service can either be provided by the utilization of surplus capacity in the existing Municipal infrastructure or by the use of new infrastructure provided by the City. It is proposed that the Development Charges will be applied to all developments for which the approval of the City is required in any law, by-law, or scheme. These relate to land use applications for township development, subdivision applications, change in zoning and change of the use of an existing building. It is claimed that the Development Charge will be levied in accordance with a City Council approved Policy and a By-law which is in the process of being finalised which requires the input of stakeholders. Please note that they did request interested parties to RSVP by 9 November 2011 to Nicosha Haripersad, on telephone number 031 311 1135. Albeit that the RSVP date has come and gone, if you wish to attend, give her call perhaps they can still accommodate you.